A black hole is invisible by nature. One of the strangest predictions to come out of Albert Einstein's theory of general relativity, a black hole emits no radiation we can detect, and it swallows up everything that falls on it, matter and light alike. With Interstellar being one of my favourite movies I was intrigued to see what a black hole would really look like. The movie was hailed at being fairly scientifically accurate and depicted a blank sphere surrounded by light. Forget the size of the solar system, would Earth even register as a pixel? The feat marks the first time in history that astronomers have seen the shape of an event horizon. The EHT is a group of radio observatories that stretch around the globe from the U.S. to Greenland and even the South Pole, creating a virtual telescope the size of Earth. 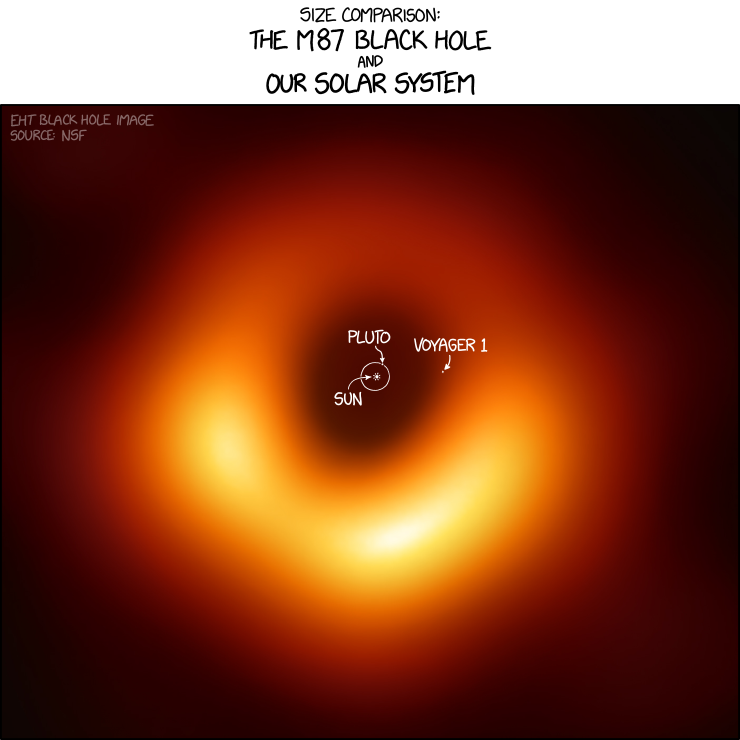 ...the EHT effectively revealed the shadow of a black hole illuminated by the matter on the edge of the object's event horizon — the area near the black hole known as the "point of no return," where the gravity is so great that nothing can escape. You can watch the video by Vox a little further down for more on how the data was captured and then moved around. We can see the stars with our eyes, we've sent probes out into space and now we've been able to 'see' the invisible. What an achievement. If you'd like to read more, over the last couple of weeks I've linked to coverage from Axios: where black hole research goes next, the BBC and there was a great video from VOX. The BBC also uploaded on the astronomers reacting to the image and National Geographic take an in-depth look at the unveiling.